The Vancouver Foodster Martini Challenge was a great success featuring unique creations at restaurants around Vancouver, and Maple Ridge. 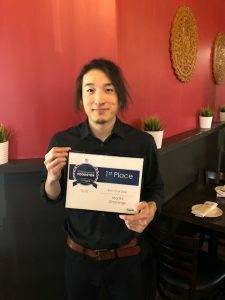 Each restaurant featured their creation on their menu from April 12 -may 6, 2018. and their customers voted for their favourites daily throughout the challenge for their People’s Choice favourites. Our Media judges for this challenge were:Mary Sheridan, Zahra Alani, and Christine McAvoy. 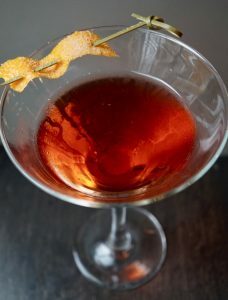 Description: The inspiration behind the martini is based off traditional Thai ingredients. Simplicity at its best! Martini’s tend to be too complicated. Our ingredients enhance the gin flavor and incorporate subtle hints of Lemongrass and Coconut without adding unnecessary sugar. Chika uses a widely used technique of “Fat Washing”. Simply put he infuses the gin by allowing it to absorb coconut oil then freezes the mixture to lock in the flavor. The result is a truly unique spin on the classic. Garnished with a torched sugar wedge. Description: a riff of the Vesper Martini, is simply divine to sip and savour with a plate of our perfectly shucked oysters at the Fanny Bay Oyster Bar. 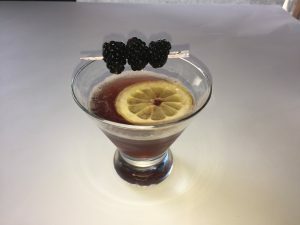 Description: This drink was created by our newest team member Jenn Fisk, who has an incredible background in such spots as Fable, Araxi and Joe Fortes. This drink was inspired by the need for something delicious which would start the flow of sharing tales. That’s what we are all about at Water Street. Locally inspired ingredients which nourish and create warmth within. Ingredients are: Bourbon, Cassis, St. Germain, Fresh Lemon and BC Blackberries! In the People’s Choice Awards category, the public who tried the Martini Creations were the ones who had the opportunity to cast their vote throughout the challenge. 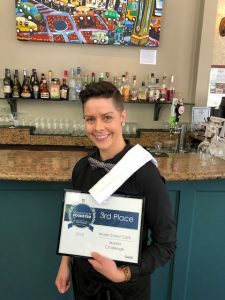 Thank you to all the chefs and restaurants that accepted my invitation and featured the Martini Challenge creations on the menu for the past few weeks during this challenge. 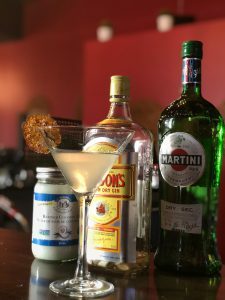 I encourage you to visit the winning restaurants to try their Martini creations! See all the Martini Challenge Entries Here.